Did you know tomorrow, April 18, wraps up National Library Week? 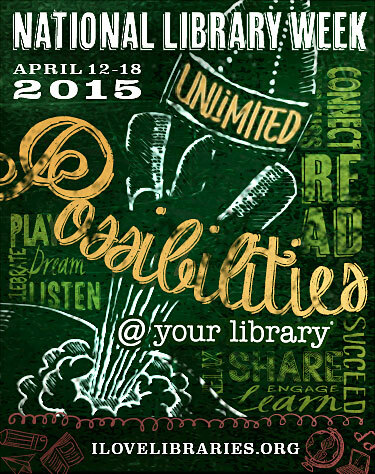 This annual April celebration has a 2015 theme of “Unlimited Possibilities”. For today’s Friday Find, we found a historic barn that highlights this theme. The Jackson Public Library, located in Jackson, New Hampshire, was built as a barn, but has since been dismantled and rebuilt to become the town’s public library. Trickey Barn, built in 1858, was an extension to Jackson’s first inn, and by 2008 was in need of rescue. That same year, after the need for a new library became apparent, town officials and the local historical society joined forces to respond to the two issues: the potential fate of Trickey Barn and the need of a new library. In 2010, the reassembled barn officially opened as the Jackson Public Library. Throughout the process, sustainable materials were used and many of its original features were retained. For more information and to see the barn, which is now the Jackson Public Library, click here. Previous PostFriday Find: Spring Cleaning!Next PostFriday Find: YOU find us!